Need A Custom Made In The USA Folding Security Scissor Gate? Do You Require A Custom Built Scissor Door Gate? No Problem Call Tampa Bay Security Door Gates for A FREE Quote. No matter what your circumstances, we can manufacture a gate to your specifications. Well, you have come to the right palace. All of our gates are easy to install for the DIY in less than 30 minutes. 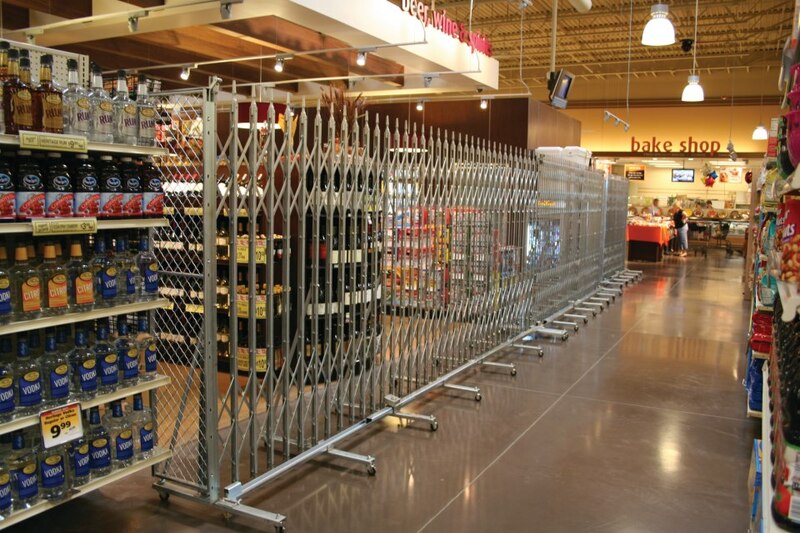 Retail Grocery Store Galvanized Aisle Access Control Safety Folding Gates. If you need your folding gates installed we can do that too. Security gates can be installed practically anywhere and any configuration including outside & inside door jambs, hallways, lift-up doors, loading dock doors, connecting posts or bollards, windows, walls and attached between pallet racks. 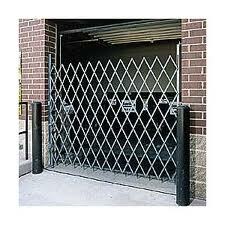 Security Scissor Gates up to 24′ wide are always in stock. Larger sizes are also offered with quick turnaround. Dual Folding Security Gates are ideal for openings greater than 12′, for smaller openings, use one of our Single Folding Gates. We offer custom installation on any of or steel folding gates! Just tell us what you need, and we’ll find a solution. Call us for a FREE Quote.